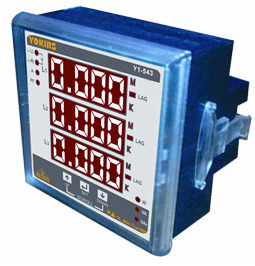 CT primary range 1A to 50kA AC programmable. CT Secondary range 0.5A to 5A - AC programmable. Panel Cutout: 92mm x 92mm. Standards for enclosure: IP-20(Back), IP-65(Front).